There are so many exciting parts to the holiday season. You get to give presents to family and friends, you get a break from college courses and homework, and you also get to do some dorm room decorating! Thinking of all the dorm room decorations you need for your holiday dorm room decor theme can be overwhelming but it is a lot of fun. To start with, you get to decide on your college Christmas tree. Just because it's a dorm Christmas tree, that doesn't mean you have to stick with a green Christmas tree! You can make your college dorm room decor stand out and add a one of a kind dorm Christmas tree to your dorm room decorations. 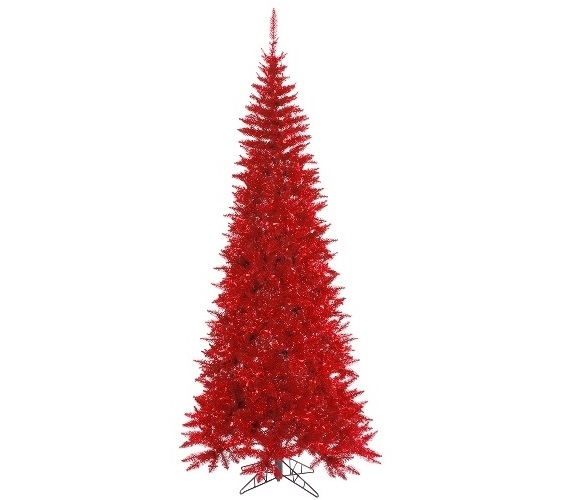 Our Red Slim Fir Tree first of all has a slim design that is ideal for college dorm rooms. The slim design is taller than it is wider, eliminating your concern about having room in your college dorm room for your Christmas tree. 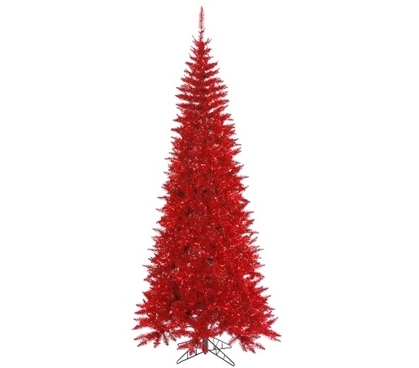 The branches of this dorm essentials item are a deep red color that is still a classic Christmas color, allowing you to have traditional yet super fun pieces in your dorm room decor for the holidays. Simply add some bright, pretty garland, mini dorm lights, and your favorite ornaments from home to your dorm Christmas tree! Your dorm room decor will look great and your dorm room will feel even more like home in no time!